If there was a single person who left an indelible impact on Ambrose Gwinnett Bierce’s life, it was Brigadier General William Babcock Hazen. Hazen was born in Vermont in 1830, but his family moved westward from New England to the Midwest when he was still young. After graduating from West Point in 1855, Hazen spent his early military career on the frontier fighting Apaches, Comanches and other tribes; later he was posted to West Point as an instructor of infantry tactics. If any officer in the army exuded spit and polish, it was William Hazen. Despite his years of service, it was not until the war broke out that Hazen was promoted to captain in the 8th U.S. Infantry. As the U.S. Army expanded, Hazen’s own career grew aw well; at last, on October 29, 1861, he was made Colonel of the 41st Ohio Infantry. Then, in January, 1862, he was put in charge of the newly formed Nineteenth Brigade as part of General Don Carlos Buell’s Army of the Ohio. It was not long after this that his new command was ordered south to occupy the formerly Rebel-held state capitol of Nashville, Tennessee. Ambrose Bierce, who had served on Hazen’s staff during the war, described as “the best hated man that I ever knew, and his very memory is a terror to every unworthy soul in the service.” Intolerant of dishonesty and incompetence in the military, General Hazen spent almost as much time fighting his brother officers as he did fighting the enemy, both during and after the Civil War. After a little more than a month of drilling and training his mostly green troops into a semblance of military discipline, (which many of the volunteer troops took a keen dislike to), orders came down to advance overland to the port town of Savannah, Tennessee, to rendezvous with General Grant’s army. As part of General Bull Nelson’s 4th Division they took the van in Buell’s advance, arriving near the town only a day before Easter Sunday of 1862. The next morning they awoke to the sound of distant gunfire; Hazen mustered his men, and then it was a game of hurry up and wait, until finally they were ordered to make a forced march to the rescue of Grant’s men. “An Occurrence at Owl Creek Bridge,” by Ambrose Bierce was based on the experiences of Hazen’s men in the late spring and early summer of 1862 in northern Alabama. By late summer, Hazen and his men were relieved of frustrating duty along the railroad and instead headed north into Kentucky in pursuit of the Army of Tennessee under General Braxton Bragg, finally halting them at the Battle of Perryville. Following the Kentucky Campaign, the Federal army was reorganized under a new commander, General Rosecrans and renamed the Army of the Cumberland. Hazen’s Brigade was also renumbered and reorganized, having become ragged and lax (according to General Hazen’s thinking) during the chaotic summer and fall campaigning. By the time Christmas came, they were back up to his standards and fought in the bloody winter Battle of Stone’s River. Here again Hazen’s men fought the Rebels to a standstill, preventing the enemy from rolling up the Union flank at the Round Forest. Although the brigade went on to other duties, they erected a monument on the site of the fight, which still stands on the battlefield today. 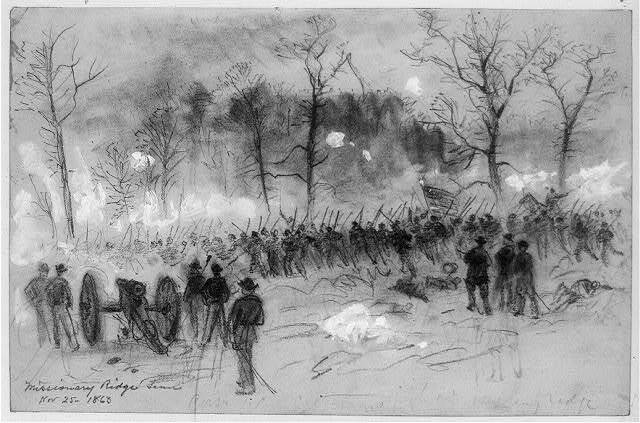 The year 1863 saw Hazen and his men heavily engaged, first in the lighting fast Tullahoma Campaign and then in the subsequent maneuvering to force Bragg out of Chattanooga. 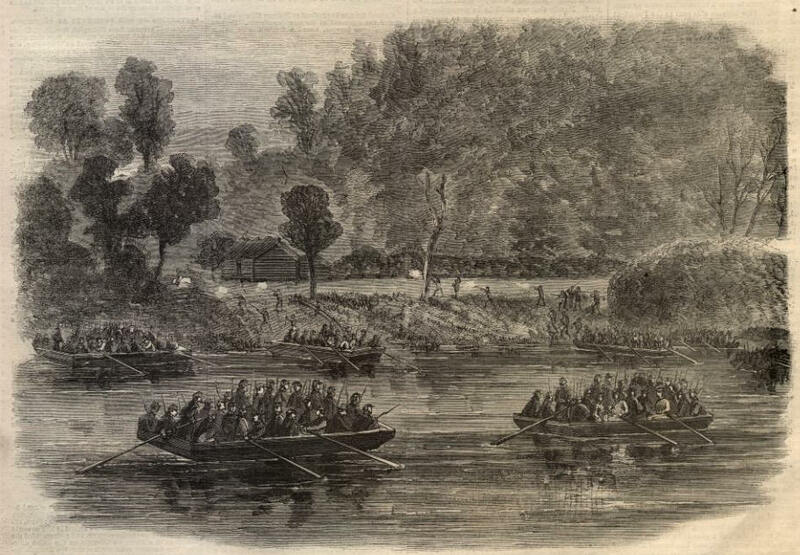 Unfortunately, having succeeded beyond all expectations, Rosecrans became overconfident and engaged in a headlong pursuit of the Army of Tennessee before he had consolidated his own army around Chattanooga, leading to the Battle of Chickamauga, in which Hazen and his men again played an important part. In a daring night raid, General Hazen and his men seized Brown’s Ferry and broke the siege of Chattanooga. During the subsequent siege of Chattanooga, Genera Hazen led a dangerous night mission to seize Brown’s Landing to open up the “Cracker Line” which effectively broke the Confederate siege of the city. At the Battle of Missionary Ridge, Hazen’s men took first honors in reaching the summit and beating back the enemy—although he butted heads with General Sheridan, who tried to claim credit for reaching the summit first. 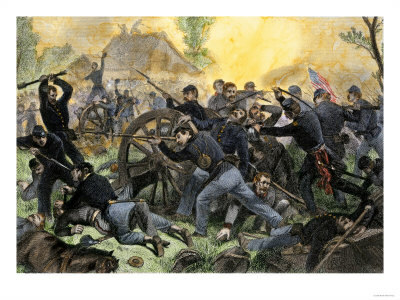 Assault on Missionary Ridge. General Hazen’s Brigade were the first to seize the summit and capture the Confederate cannon there. During the Atlanta Campaign, Hazen’s Brigade suffered further attrition, until the by now eight regiments of his command numbered little more than one new regiment in strength. Often the brigade suffered more from the incompetence of its superior officers—such as the notorious General O. O. Howard—(or as his men called him “Uh-Oh” Howard) than from the enemy. At Pickett’s Mill, Hazen was ordered to attack a superior force, entrenched and prepared for them, without proper support. Hazen’s men suffered heavy casualties as a result. After Atlanta, General Hazen, in recognition for his fighting abilities and qualities as commander, was given a full division in Sherman’s March to the Sea and in the subsequent Carolina Campaigns, leading troops in battle up to the end of the war. After the war Hazen, now reduced to Colonel, served on the frontier, not only protecting settlers from the Indians, but also occasionally protecting peaceful Indians from the murderous attacks of his fellow army officers. Hazen also blew the whistle on army scandals within the Grant administration, which did not endear him to politicians or some of his fellow officers. He died relatively young, at age 56 in 1887, and is buried at Arlington Cemetery. In his obituary, the New York Times called him “aggressive and disputatious”, while his former subordinate and close friend, Ambrose Bierce, described him as “the Best Hated Man in the Army.” Both descriptions aptly fit William B. Hazen, an irascible but brave officer and one of the best generals in the Army both during and after the war. For more strange but true Civil War stories and events, Ghosts and Haunts of the Civil War and The Paranormal Presidency of Abraham Lincoln.